So now that you have got a sword, the question is, what do you do with it? Well, the obvious answer to that question is, you use it. Or you can display it. But in doing either, you are going to find that you might need a few other things, too, and that is why Buying a Sword carries such a diverse array of sword accessories, so that sword-owners can find all that they might need, right here in one convenient place. If you chose to display it, you open up a wide variety of new questions, mostly depending on how you want to display it. Do you want to hang it on a wall, with some decorative wall hangers? Would you rather, instead, display it on a sword plaque? Or perhaps you would prefer to set it on a stand, within easy reach, should you need to grab it for more active use? Either way, you will find that Buying a Sword has a great selection of sword plaques and sword hangers for wall display, as well as great sword stands for table-top and floor display. We even offer Japanese sword stands, made specifically for the katana, as well as larger sword stands that make showing off even a large collection easy! And for those who wish to use their sword as well, we also offer various sword care products, including sharpeners, waxes, and full maintenance kits so that you can keep your sword looking and performing its very best, after each and every use. 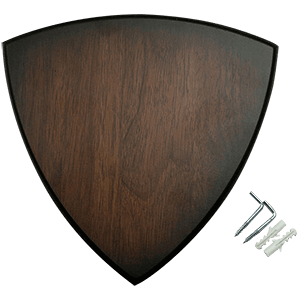 We even offer replacement blades for some swords, so that if anything accidental does happen, you can replace the blade and keep using that sword that has served you well for your career as a swordfighter! This is one section that any sword-owner should definitely visit, as it holds pretty much everything you could need to look after your sword. So if you are grabbing a sword from Buying a Sword, do not forget to check out this section as well. And if you have got one already, then you have come to the right place, because our sword accessories section is filled with top-notch items that are perfectly suited to treating your decorative or functional sword right. Ornate and showy blades are not in particular need of an equally flashy sword hanger, and so Buying a Sword offers a selection of more traditional and muted designs that are perfect for picking up almost any style of sword, allowing you to display it either horizontally or vertically to create the wall decoration that you want your sword to be. In spite of their otherwise unadorned style, though, many of these sword hangers are perfect when it comes to creating killer sword displays, as their simple design allows the sword to speak for itself in terms of detailing and overall appearance. 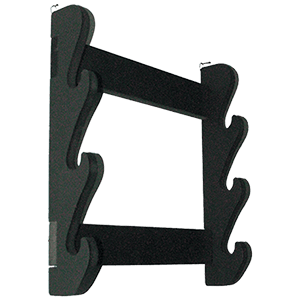 Our sword hangers come in a variety of shapes and sizes, and they allow swords to be easily displayed either horizontally or vertically, depending on the style chosen. We offer hook hangers that are perfect for holding a sheathed blade while it rests on the wall, either along the hilt and the blade, or by its guard, just as we offer adjustable sword hangers in various designs to suit the style of your sword perfectly, whether its Japanese, Celtic, medieval, or even a bit more modern. Vertical hangers and hinged broadsword hangers round out the group, giving the sword-owner who visits this section more than a few options when it comes to picking out how they want to display their sword. And given that some feature different finishes, all of which look great, you can also pick the one that suits your sword the best, to better ensue that it stands out all the more. So for the collector who is looking to show off their latest and greatest sword, Buying a Sword has an array of affordable and appealing sword hangers, which give you nothing but options as far as a weapon display goes. An old saying claims that there is more than one way to skin a cat. Morbid as it sounds, it really just means that there is more than one way to do something. And in this regard, the phrase is right on the money when it comes to displaying swords, because at Buying a Sword, we offer a number of methods, and none are so unique as those found in our sword plaques section! Sword plaques are completely different from sword hangers and sword stands, as they carry with them a more unique and ornate design that makes them perfect for fine swords of many different varieties. This is particularly true when it comes to decorated sword plaques, which feature ornate designs, and carved details that make them every bit as impressive as the sword that it might hold. Many of the sword plaques that are offered here are completely universal, featuring mounting hardware for easy installation as well as a versatile design that allows it to be used with just about any sword imaginable, ensuring that no matter what type of medieval sword you own, you can hang it up with a display plaque to create a unique addition to your decor, one that will leave many in awe of your impressive and deadly looking collectible. Many of our sword plaques are made from fine woods, and those that lack designs still feature a stunning wood finish that helps to accent the appeal and beauty of any sword it is paired with. Pair one of Buying a Swords great sword plaques with your own Excalibur, your Valermos, or any other named or unnamed sword you might own, and you will have a winning combination that is just begging to be mounted and displayed on the wall of your home or office. For the serious sword collector, any number of sword display stands is an absolute must. And Buying a Sword is here to provide just that, offering a number of great sword stands, all of which hold any number of swords and medieval weapons, allowing you to turn your collection into a formal armory - and all at a low cost that will leave you jumping for joy. Swords and medieval weapons make for great historic displays, and a good display stand will help transform any weapon, changing it from that thing in the corner to a stunning wall display or centerpiece that will leave others impressed with your decor. This section is filled to the brim with stands of various shapes and sizes, including wall stands, table stands, floor stands, and wall-mounted racks, all of which are designed for keeping your swords and weapons properly displayed. For the enthusiast with a single piece, we offer single racks and table-top stands that are perfect for showing off a single sword, just as we offer similar stands and racks that show off two and three swords respectively, to show off matched pairs of weapons or weapon trios that are all inter-related. For the truly exceptional collector, we also offer larger floor and wall racks and display stands that are perfect for showing off larger numbers of weapons, allowing for as high as 16 different swords to be displayed with ease! Not all are classic horizontal racks, either. Some create elaborate looking floor displays that fan the blades out, while leaving the hilts easily grasped, while others create impressive arrangements of blades that used controlled chaos to create something that is truly breath-taking. And all of our stands are made from fine wood, with hardy construction, so you can rest easy, knowing that once your sword is properly displayed, it will not soon leave the rack or stand - not unless you remove it, yourself. 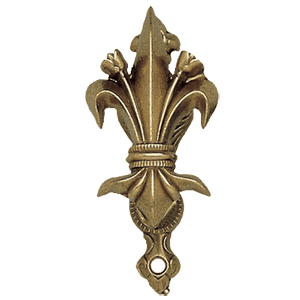 And their classic finishes are a no-brainer choice that fits perfectly into just about any decor style you might have. Really, if you are looking to display your swords, then there is no better place to visit than Dark Knight Armoury, because we have a huge selection of sword display stands, all offered at low prices, which will serve you well in transforming your bladed clutter into a series of stunning displays for any to enjoy. There is more to owning a sword than just hacking through things, cleaning the blade, and hanging it up when it is not in use. And that is why Buying a Sword offers such a selection of sword maintenance and sword care products, so that whether you are a first time sword owner or an experienced wielder, you know where you can find all the products you need to keep your sword looking great and performing perfectly. Perfect for decorative and functional swords alike, the products in this section are designed to keep a sword safe from wear and tear, whether that is wear and tear from use, or just the environmental wear and tear that comes from everyday exposure and casual display. 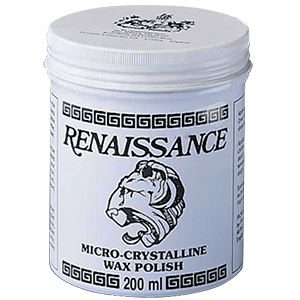 We offer a number of casual treatment products, ranging from wax to sword oil to rust-blocker spray, to use with swords both decorative and functional to help them resist the effects of wear, tear, and rust. We also offer a sharpeners and honing stones for use in keeping a functional sword edge working and sharp. And for those looking for something a bit more complete, we also offer full maintenance kits which will allow anyone to properly care for their sword or weapon of choice. Even a sword on display can start to rust after some time, so make sure that you look after your blades properly, with some of the fine sword maintenance products that we offer right here at Buying a Sword. Use brings about wear, tear, and rust, and all the care in the world will not keep a sword from eventually failing under duress. This is a natural part of a swords life, after all. At Buying a Sword, we understand this quite well, and we also understand that even when it happens, you might not want it to, and that is why we offer a selection of effective and functional sword replacement blades. These ensure that, should a failure actually happen, or should an accident irrevocably damage the blade of your favorite sword, there might be something else you can do, rather than just commit it to the graveyard and say your final farewells. Pay us a visit and browse through this section, and you never know - you might actually find the replacement blade that you need to breathe new life into your favorite weapon. Even better, replacement blades are usually cheaper than replacing the word as a whole, which means that you can also save some money by getting a replacement blade, as well! Now, not all swords have replacement blades, so when ordering, it is best to double-check all specifications, on both the sword and the blade, to make certain that the replacement you have chosen will work with the sword you own. Some are compatible with different swords of similar types, while others are compatible with only their specific model, so that is something to be aware of as well - each replacement blade description will state whether it is usable with multiple designs or if it is geared towards a single, specific model. A damaged blade does not mean that your sword is dead and gone yet, not so long as Dark Knight Armoury still has a selection of sword replacement blades readily available. So when the unthinkable happens and your sword gets damaged, pay us a visit and see if we have the replacement blade that you need to revive your trusty sword and get back to training, cutting, and practice. Buying a Sword carries frogs, belts, and baldrics for easily carrying your favorite weapon with you, whether as part of a costume, at the medieval fair, for reenactment events, or simply for fun. Here you will find all our leather sword frogs, axe frogs, dagger frogs, and rapier frogs for carrying your weapon at your side. 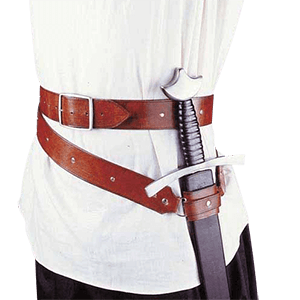 Our leather sword belts are also great for wearing your sword at your next event. Leather baldrics hang like a sash, many featuring adjustable frogs to fit a variety of scabbards. Many of these sword holders are available in different colors and are available in right- or left-handed makes. If you are looking for a great way to carry your favorite blade around, then look no further than our selection of leather belts, frogs, and baldrics. Every sword needs a good scabbard or sheath to keep it safely stored or for ease of carry. 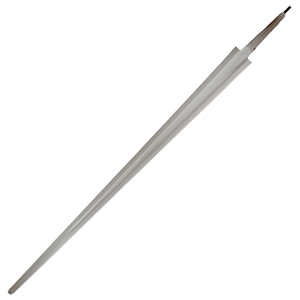 Many of our weapons at Buying a Sword come with scabbards or sheaths, but we also offer separate scabbards and sheaths for swords and daggers here. 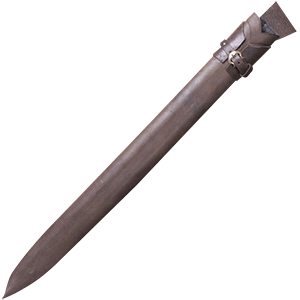 These sheaths and scabbards are great for using with weapons that do not come with their own, or for switching up how you keep your weapon contained. Shop all our high quality sheaths and scabbards here for protecting your weapon and your surroundings or for more easily attaching it to a sword belt or baldric.